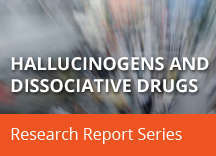 Home » Publications » Research Reports » Hallucinogens and Dissociative Drugs » How Widespread Is the Abuse of Hallucinogens and Dissociative Drugs? According to the 2013 National Survey on Drug Use and Health, 229,000 Americans ages 12 and older reported current (past-month) use of LSD and 33,000 reported current use of PCP (Substance Abuse and Mental Health Services Administration, 2013). Among high school seniors, salvia was significantly more popular than LSD or PCP when it was added to the Monitoring the Future survey in 2009. Past-year use was reported to be 5.9 percent for salvia, 2.7 percent for LSD, and 1.3 percent for PCP. Fortunately, rates have dropped significantly for saliva—to 1.8 percent in 2014—with LSD and PCP use dropping slightly (Johnston, 2014). 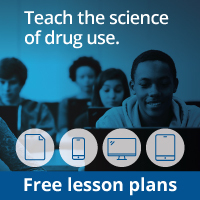 While regular use of hallucinogenic and dissociative drugs in general has remained relatively low in recent years, one study reported that the United States ranks first among 36 nations in the proportion of high school students ever using LSD or other hallucinogens in their lifetime (6 percent versus 2 percent in Europe) (Hibell, 2012). Additionally, tourism to the Amazon for the purpose of using ayahuasca has become increasingly popular among Americans and Europeans in recent years, and ayahuasca use has also been reported in major cities in Brazil and abroad (Barbosa, 2012; McKenna, 2004). Although DMT is a schedule I drug, plants containing DMT are not scheduled, and there is ambiguity over ayahuasca’s legal status in the United States (McKenna, 2004). Two U.S. Brazilian churches have obtained permission to import and use these plants in their ceremonies.